What a ST(DEAL)! 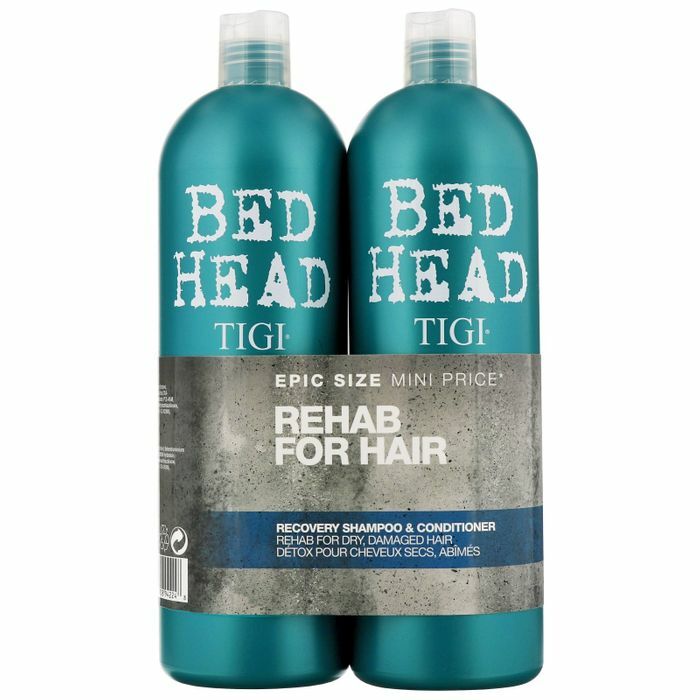 This Bed Head twin shampoo and conditioner set is down from £31.50 to only £12.20! Saving over 60%! Urban Antidote #2: you’ve dyed, you’ve fried, so take your dull hair to the bright side! this shampoo is help for moisture-deprived Hair. Let this potion hydrate, strengthen & shine your worn out locks. To Use: Lather up and massage into hair to enhance fullness before rinsing. Urban Antidote #2: drench moisture-deprived hair with a rush of hydration! This moisturising conditioner gets stressed-out tresses back in action & on the road to recovery. You’ll be addicted to how stunning your hair looks! BENEFITS: - Moisturises and conditions dry hair. - Boosts hair shine. - Smoothes the cuticle and calms frizz. - Your hair will feel soft and conditioned. - Colour safe. To Use: Massage thoroughly into your hair & scalp and rinse. Please note: These supersize products do not come with pumps. What a great deal! Thank you so much for sharing this!